Stained Glass Studio Atelje Vitraž exists and works in Belgrade for over a decade. We design and create Stained Glass for interior and exterior doors and windows, entrances, furniture. We design and create stained glass lamps, mirrors, glass mosics, and decorative accents. Our mission: we promote old and valuable art of Stained Glass in a new way: by making uniquely designed and handcrafted stained glass panels, lamps, mirrors for contemporary interiors, both modern and classical, private and public. We make valuable yet affordable luxurious decorative accents made in traditional manner using beautiful Art Glass as a material. We make jewlery for interiors. 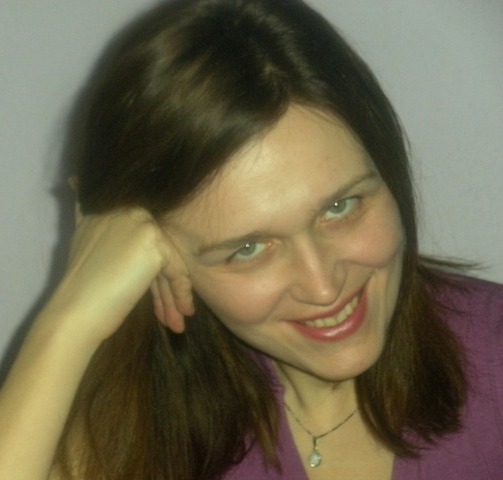 About the Author: Nina Udović, born in Belgrade, Serbia, gradauated on University of Belgrade, faculty of Electrical Engineering. She also attended and finished Artistic Schools for Stained Glass design and craft. How we work: We design and craft Stained glass panels and objects for different purposes. If possible, we visit the site, if not, we can use photographs provided by Customer or simply use Customers inputs. We usually make couple of skeches for design, that are in line with Cistomers wishes, interior, environment, light, purpose. After the Client choooses the design, we craft tthe glass panel, lamp, mirror. This way, Glass we make are custom designed stained glass panels and objects that fit particular Client, place, colour scheme... Of course, Customer can choose any of the products already shown in our online gallery, and we can produce that one, in that or other colour of glass. Cooperation with architects and interior designers is also welcome, and we can craft Glass panels according to their design and inputs. Transport and packing: we have experience in packing Stained glass for longer distances transport. Glass panels and lamps, objects are packed in wooden boxes, immobilised and isolated by styropore, wooden wool, etc. They are transported via UPS, shipping companies or Kunst Transport Companies. Stained Glass craft is an old art form – a painting made of pieces of coloured Tiffany art glass that is assmbled by metals: lead profiles and solder. Louis Comfort Tiffany (1848-1933) made a revolution in Stained glass craft: his passion for stained glass and expressing the nature with all its details and colours through stained glass tecnics, leaded to development Favrile Glass and Tiffany technics for assembling panels threedimensional objects – coloured art glass is cut very precisely, wrapped in copper foil, and soldered together. That brought great art expression possibilities and possibility to make three dimensional objects of glass. This is how famous Tiffany lamps emerged.